You do not need to think twice when deciding whether you need an antivirus program for your valued devices or not. Every device, Mac, Android or Windows is vulnerable to attacks. Hence the question that remains is what do you need from an antivirus? Or do you even need to spend on them? It’s important to know what to search for, before blindly getting any antivirus for your devices. 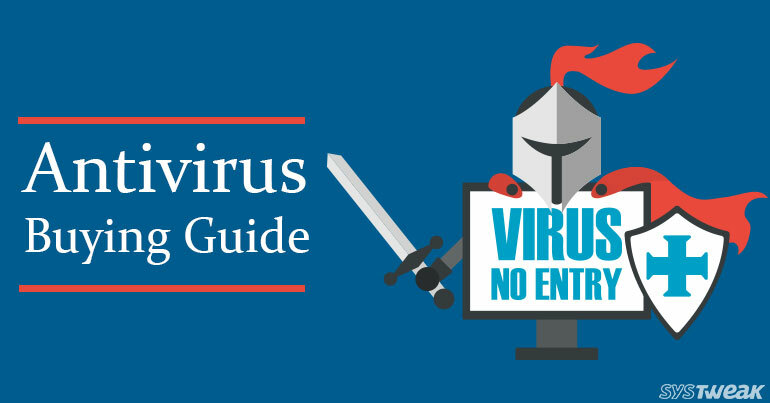 Here are 10 important features of a perfect antivirus protection plan. Hope they help you to decide wisely while buying antivirus software. Select an antivirus only if it’s capable of detecting at least 95% malware. Therefore, you can get maximum protection against malware, even from the most recent attacks like zero day malware. Also, make sure that the selected antivirus does not produces false detections for benign files. You should choose an antivirus that is light and does not slows down your device. However, it should perform well in both active and background scans. Thus, ensure that your system supports the chosen security program. Such criterias will certainly generate wise purchases. There are free antivirus online that can impressively protect your machine. Still, paid versions of the same have better useful features like file shredder, secure browsing, inbuilt ransomware protection, password manager and many more. Paid versions are more comprehensive protection plans that are completely ad free and easy to install as well. Antivirus companies sell different types of antivirus programs with different price tags. It is recommended to not fall for extra features that you may not need to protect your PC. Thus, go through every feature and choose what looks more useful to you. Web browsing activities and emails are prone to cyber attacks. Hence, buy an antivirus program that automatically scans emails attachments before they are opened and websites before they are loaded. Such features can be easily found in paid antivirus protection plans. No device online is safe from cyber criminals. If you own multiple devices, buy an antivirus program that covers multiple devices and multiple platform. The same software should work across Android, Mac OS and Windows. Although Windows antivirus such as Windows defender and its predecessor Windows security essentials are good, yet many other antivirus are better in securing your IT assets. However, you don’t need to search for a firewall feature in an antivirus as Windows inbuilt firewall performs effectively. You don’t want to spend hours learning about how to work on the new software. Therefore, ensure that the new antivirus plan is powerful and user-friendly. Make sure that your antivirus does not obstruct and is compatible with other useful software. An antivirus has access to entire data on your PC, hence it may sometimes conflict with other software. Last but not the least, the software should be under budget. You can get a decent antivirus annual subscription if you can spend $50. These are some points to remember while shopping for an online security program. We hope that they are useful while you buy the perfect antivirus for your devices. So stay safe and happy reading.